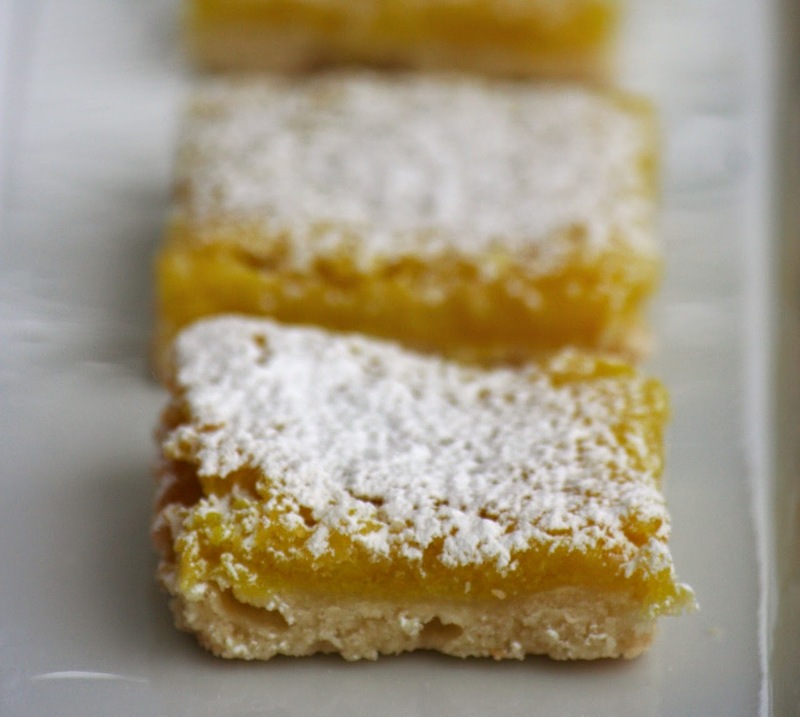 Vegan Mom loves lemon squares for the holidays but has been unhappy with any vegan recipe I have tried. So I started experimenting. My basic thinking was to use potato and a variety of binders and proteins to replace the egg so that the filling would both rise and bind in the oven. These are a little more firm/gummy than I would like but I think the recipe is good enough to post. The top bakes evenly to a golden colour and the filling is nice and lemony. You can fiddle with the recipe as you see fit. 1. Blend together potato, water, and soy milk with an immersion blender in a small cup until smooth. Transfer to a medium bowl and whisk in turmeric. 2. Whisk in rice flour until well blended, then whisk in wheat gluten, then the agar. 3. Add sugar and whisk vigorously until very well blended. Then whisk in zest and lemon juice. 4. Mix together flour, baking powder and baking soda, then whisk into lemon mixture. 5. Pour on top of the crust and bake for 20 mins. 6. Let cool in the pan, then cut into squares. Dust with icing sugar before serving.